More adventures from the road. 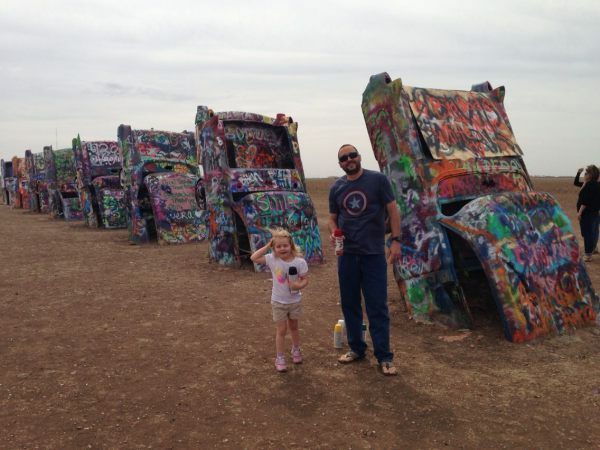 This time: Route 66! 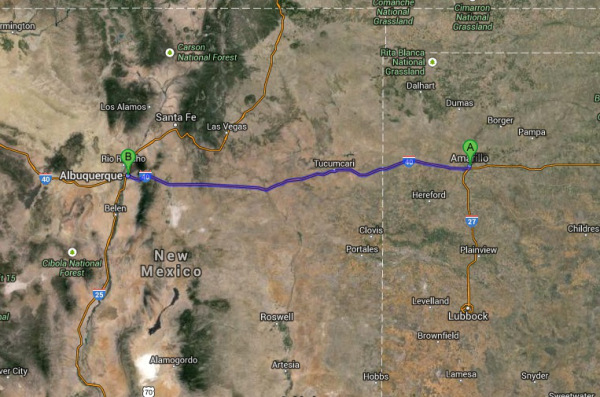 Today we drove 285 miles. Two states, two time zones. 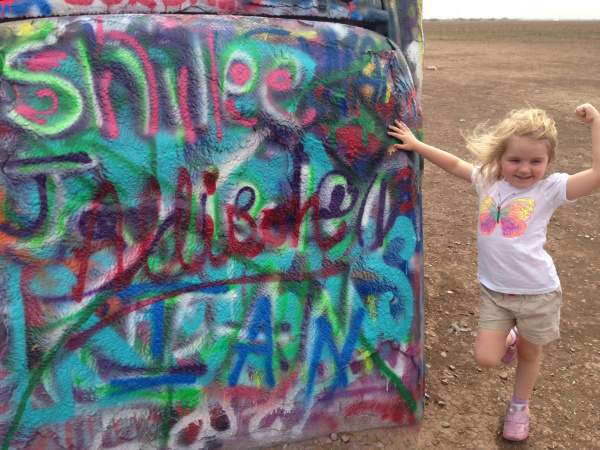 We started Day Sixteen with a trip to Cadillac Ranch. I’m a huge Springsteen fan and poor Dana and Allison had to listen to me sing the song all morning. 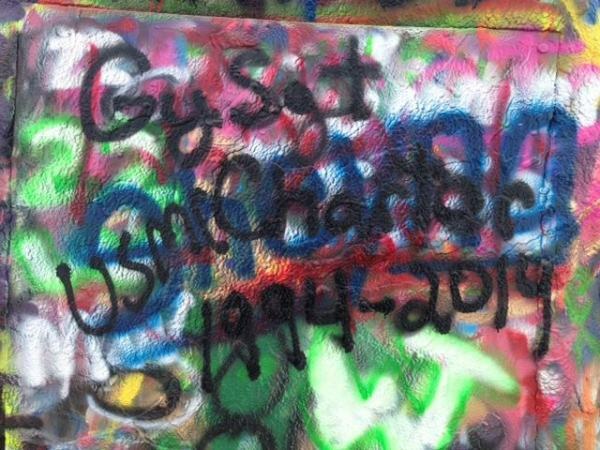 A nice couple gave us their leftover spray paint so we could make our mark on this iconic public art installation. Allison found it frustratingly difficult to depress the button on the spray can, so Daddy had to help. She was happy with the end result though! Dana also commemorated his visit (and the reason for the Victory Lap).